Welcome to the inaugural edition of Muscle Car Milestones. Here, we look at not just cars, but trucks, SUV’s, and any other vehicles that have become legendary, notorious, and maybe even loathed in the muscle car world. We will also take a look at the rare, forgotten, and just plain overlooked muscle from all eras. There are no rules or limits as to what we will cover. This edition of the Muscle Car Showcase highlights the 1977 Pontiac Can Am. 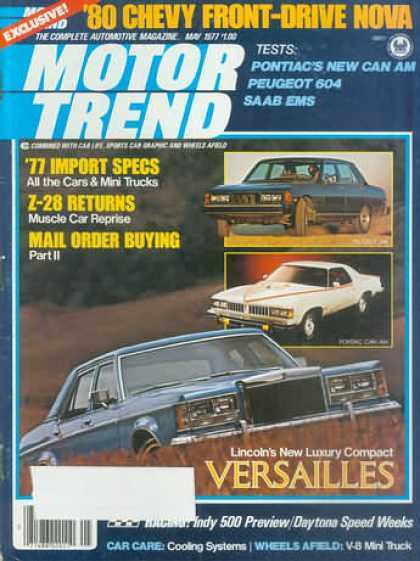 A rare car that showed Pontiac could still create exciting cars other than the Trans Am the late 1970’s. In 1977, Pontiac was becoming a popular brand again due to the success of the movie “Smokey and the Bandit”. The Firebird Trans Am, with its flashy black and gold paint, honeycomb spoked wheels, and T-top roof, was quite a sight to behold when it rolled out of the back of the Snowman’s 18-wheeler at the beginning of the movie. 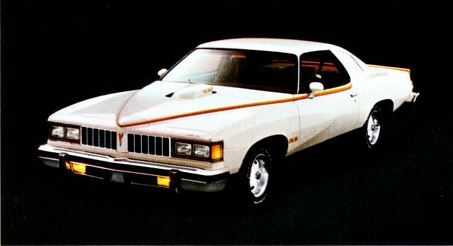 Also, sales of the stylish Grand Prix were very high for the 1977 model year. However, sales of the LeMans were not what Pontiac had hoped. The LeMans’ controversial Colonnade styling, with its sloping rear end and squared off front, wasn’t a big hit with the public. The LeMans definitely needed some excitement to get cars moving off dealer lots. ailing LeMans did not die. Wangers had an ally in Ben Harrison who worked in Product Planning inside Pontiac. Together, they took what was good from the Judge and All American concepts and created a new car. Now, all they needed was a name for their new creation. Harrison came up Can Am, taking the name from the popular Canadian American racing series. They added the T/A 6.6-liter 400 engine and shaker hood scoop from the Trans Am, dashboard from the Grand Prix, and ducktail spoiler from the All American concept. They also painted the Can Am white and gave it red, yellow, and orange stripes. When this new car was presented to Pontiac management, it was approved. Motortown was then awarded the contract to start building the Can Am. Wanger’s vision for giving the LeMans a new lease on life was finally realized. All Can Ams are painted Cameo White with body color Rally II style wheels. Tri-tone accent stripes run across the hood, doors, and rear spoiler. Rocker panels moldings and lower fenders are painted in black with an accent stripe and the grille openings are also highlighted in black. With the exception of the optional snowflake wheels, Can Ams look identical on the exterior. Other unique features include louvered side windows, shaker hood scoop, and twin sport mirrors. “Can Am” badging is displayed prominently on top of the nose, lower fenders, and trunklid. 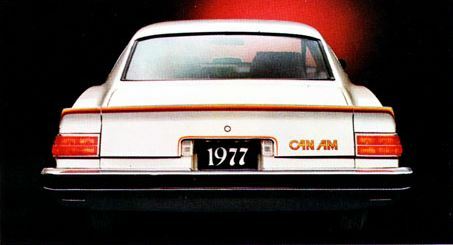 Can Ams equipped with the W72 Pontiac engine have “T/A 6.6” badging on the hood scoop and cars outfitted with the Oldsmobile 403 power plant display a“6.6 LITRE” badge. Pontiac gave the buyer plenty of options to customize the interior. Interior colors could be ordered in red, white, black, and in rare cases, brown. Some owners chose to order their Can Ams in a combination of these colors. Buyers also had the option to choose between bucket or bench seating. In order to give the Can Am’s interior more pizzazz, Pontiac installed the instrument panel from the Grand Prix, including the Rally gauge cluster and clock. 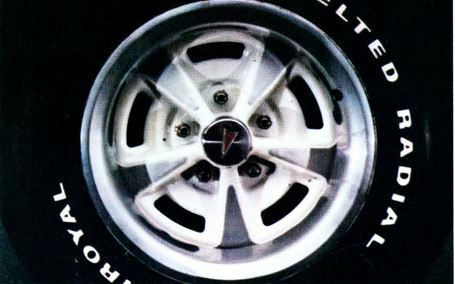 Early production models received Can Am badging on the glove box similar to those used on the GTO Judge. 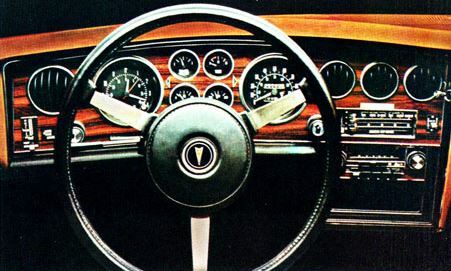 Other popular options included the custom sport steering wheel, citizens band radio, and tachometer. Motor Trend magazine tested the Can Am for their May 1977 issue. They found the Can Am could go from 0-60 in 10 seconds and could run the quarter mile in 17 seconds. Not bad considering this is Malaise Era 1977. Compared to road tests done with the 1977 Trans Am equipped with the Oldsmobile 403 engine, the Can Am was a second slower in the quarter and 1.5 seconds slower from 0-60. Keep in mind the Can Am was a foot longer and at least 200 pounds heavier than the Trans Am. Also, these numbers are comparable to the performance of the previous year’s LeMans with the 455 engine. The W72 Pontiac engine was rated at 200 horsepower and 325 lb-ft of torque and the Oldsmobile engine was rated at 185 horsepower and 320 lb-ft torque. Can Ams were only equipped with an automatic transmission. Unfortunately, no manual transmission option was available. Pontiac did go as far as creating some promotional materials for the Can Am. At least two full color ads were produced for the flashy Poncho. 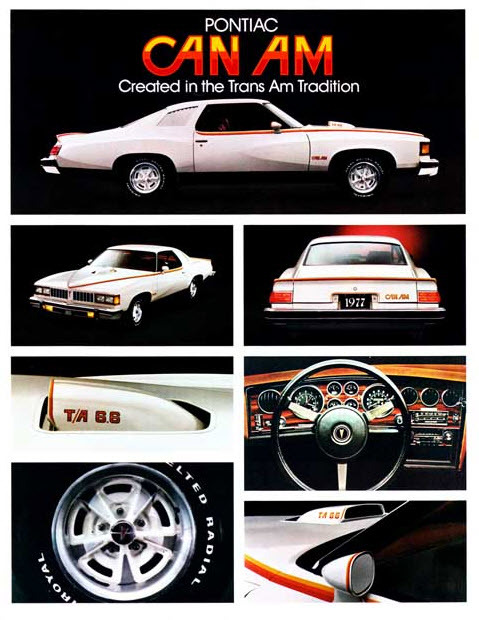 Catch phrases such as “Created in the Trans Am Tradition” and “Remember the Goat!”, which made reference to the GTO, were used in the marketing materials. Standard features, as well as optional equipment, were listed on the flip side of one information sheet. Pontiac originally planned to limit production of the Can Am to 2,500 cars. However, production was increased to 5,000 autos due to greater demand from dealers and an enthusiastic buying public. Production was turning out well until the mold used to create the rear ducktail spoiler broke. Without a backup mold, Motortown was unable to ship cars to waiting dealers. From here, the story becomes a he said, she said account of why Pontiac decided to scrap the Can Am. Pontiac claims that without the ducktail spoiler, cars were incomplete and could not be shipped to dealers. However, Jim Wangers believes differently. His take is that since the Can Am used parts from the rapidly selling Grand Prix, Pontiac wanted to get those pieces back for Grand Prix production. Also, depending on who you believe, actual production numbers for the Can Am ran somewhere between 1,100 to 1,377 cars. The Can Am used the shaker hood scoop from the 1976 Trans Am which is more rounded than that used on the 1977 Trans Am. Motortown also created the Ford Mustang Cobra II and Plymouth Volare Road Runner. 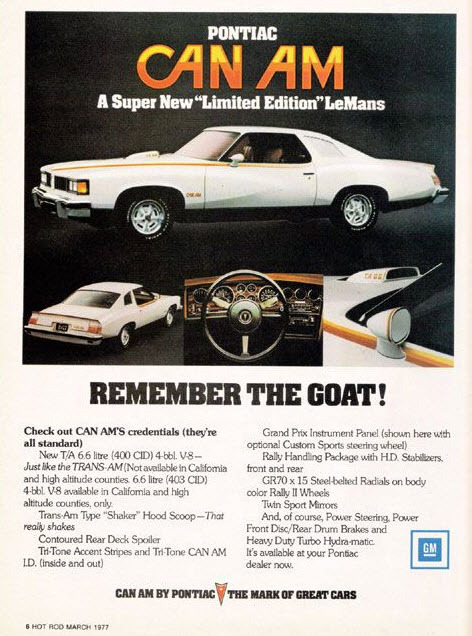 The ad with the tag line “Remember the Goat!” was the first and only time a Pontiac ad used this slang term to refer to the GTO. NHRA tests determined the horsepower for the Can Am was actually closer to 260, not 200 horsepower as Pontiac advertised. Some collectors and historians believe that less than 600 Can Ams are left. Only 1,100 to 1,377 Can Ams were built.